Previously this Review has posted three pieces about Fox "News" authored by media veteran Paul Westlake. They covered how Fox "News" is corrupt when it claims "We Report, You Decide," when it claims to be "fair and balanced" and when Rupert Murdoch refuses to fire Glenn Beck. Now, a former Fox employee has stepped forward to describe how Fox operates and makes stuff up. Following is the press release from the liberal media watchdogs, Media Matters for America which was written last week by Eric Boehlert. Boehlert is the author of Bloggers on the Bus: How the Internet Changed Politics and the Press. That will be followed by a clip from The Ed Show on MSNBC where he interviews film maker Robert Greenwald, director of Outfoxed: Rupert Murdoch's War on Journalism. Greenwald describes a "kind-of brainwashing" that happens to Fox viewers. "Brain washing," even "kind-of" brainwashing is too strong of a word for this Reviewer, but programming the minds of viewers and thereby shaping the opinions with right-wing spin and false information is clearly the purpose of the people at Fox "News." This is most obvious with the yellow propaganda, made up "facts," and manipulation of viewers that comes across during the Glenn Beck show. Rupert Murdoch is the William Randolph Hearst of our time. He's a true yellow journalism magnate. It's a shame his tactics are so effective. I think whomever owns this site is a Communist through and through! Sheesh, Fox reports the news like everyone does, except they do it a helluva lot better! Disgusting is the word for this site -- and manipulating to the hilt! How disgusting you are!!! Diane, do you think that Jerod is a Communist? Fox does NOT report the news like everyone else; that's the point. Disgustingly gullible is your notion and understanding that Fox is anything BUT a sophisticated and utterly corrupt propaganda outfit. To be clear, Diane, I'm opposed to centralized planning and nationalization of enterprise except in dire crisis such as GM in 2009. I'm opposed to Communism, and I find much about Marx to have been flawed. Sheesh! Are you a tool! (for the uber-wealthy who just love to have misinformed people like you supporting their interests and NOT your own. "Except for one thing. The anonymous former Fox staffer was only telling Eric Boehlert what many people already knew: Fox does make things up. This Media Matters piece is more important than it’s been given credit for thus far. 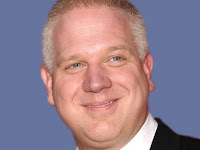 For anyone who does not grasp the extent to which people at Fox just make up stories, I have two words: Glenn Beck. Yes, THAT Glenn Beck; the yellow propagandist who made up lies about G. Soros, and now his gullible followers automatically discredit every organization that Soros has given money to without batting an eye at the organizations that the Koch brothers pour money into. The Glenn Beck. who called Soros the “evil and spooky” dude, has twisted peoples' understanding of the world into horse manure, so Colby, [the pro-Fox author of the piece], you are far too quick to dismiss this story because the source was anonymous. Perhaps you missed the part where employees had to sign a nondisclosure agreement? No No No - Your writing that liars are a dime a dozen and that FoxNews is a Liar Castle in a Open Lying nation known for lies regarding other nations that are also hoarding liars within complexes which generate the lies for political gain, advertising, and of course attempting to saturate minds with the same agenda day per day. News regardless happens somewhere on EARTH, in SPACE, or BEHIND THE SCENES. All I see is that BEHIND THE SCENES is becoming the FAD for New Media, it is the number one kicker to provide the introductions and lessening the total news which did happen within twenty four hours before because a writer is busy writing tomorrows news today and the host can't report on what the host has not received from the writer. Much news is obviously not being reported and time slots of advertising and BEHIND THE SCENES is the only thing most people are remembering from coffee break to coffee break. It is - WHO's WHO on the tube while news don't get report - that's what it has become and unfortunately for cable viewers it is repeated TEN times a day between major time slots which brings out some other news headlines. Viewers of news from cable tv are being cheated, they already know the WHO's WHO BEHIND THE SCENES or don't care to watch it again and again all day and maybe the next day depending on when the viewer tuned in like after eight o'clock some more news is added and that carries over to the next day until the news broadcasters begin their busy day again. Now a rumor is a bit different - it is not a lie, suppose Libya & Egypt decided to dual up and create a new nation which would become the Union of African Countries together yet this new nation would be a shadow government and Democratic Principles would be shared, would you believe a rumor like that or think it to be gossip rather than a lie? How about if Colonel Muammar Gaddafi were to come to Egypt with Israeli leaders and have a Open discussion on TV so everyone can see & hear the event plus have phone ins to answer questions for one hour? "Your writing that liars are a dime a dozen and that FoxNews is a Liar Castle in a Open Lying nation known for lies regarding other nations that are also hoarding liars within complexes which generate the lies for political gain, advertising, and of course attempting to saturate minds with the same agenda day per day." First of all, undereducated Jonalist, it is you're, not your. I point this out because Beck exploits undereducated people who don't recognize the long list of lies that come from various Fox personalities and guests. Second, I didn't write anything here but the introductory paragraphs. No one wrote or stated "that FoxNews is a Liar Castle in a Open Lying nation known for lies regarding other nations." YOu are making things up and seem to have your own issues to deal with. In my heart, as soon as I read "Now, a former Fox employee has stepped forward to describe how Fox operates and makes stuff up." I knew the real "made up stuff" was going to be next few hundred words I was about to read. I've watched Fox from it's beginning, I've also watched CNN from it's start and yes, MSNBC too and ABC, CBS, NBC before all the others. I started watching nightly news when I was about 6 or 7 with my grandparents, a ritual that has only increased over time. If my current life and political views are a result of brainwashing by Fox News, then they're advanced beyond belief, considering my views were formed some 20 years prior to Roger A. started his network. I'm not a journalist, but it seems to me that if Fox lies and makes stuff up to the extent it's critics suggest, why not give provable specific lies instead creating a hypothetical topic of an execution, then making up an unbiased/us versus bias/them example of comparison. I have many, many other examples. I suggest that you sign up for the e-mailings that Media Matters sends out. This list does not hardly scrap the surface of Fox's many lies (propaganda).